DONATE ONLINE at the dedicated charity site, MyDonate. Please use the message box to tell us what your donation is for. If you would like us to stay in touch by sending you our newsletter twice a year and/or emails with information about our work, appeals and fundraising events, please put a tick in at least one the boxes in the “Keeping You Updated” section. If you are donating by cheque, BACS or by text, it would be so helpful if you could send us a message so we know where and how to contact you to say thank you. 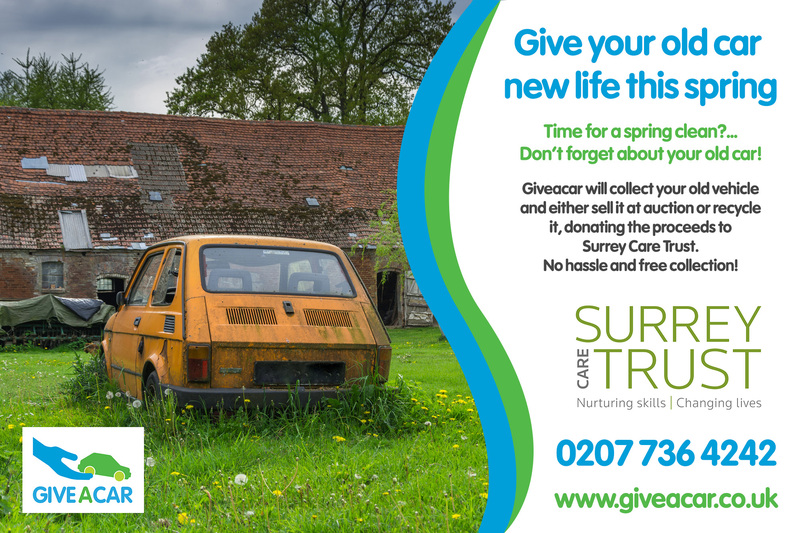 We would also love to hear what inspired you to donate to Surrey Care Trust. If you are a UK taxpayer, you will add 25% to your donation if you complete a Gift Aid form. Young people who under-achieve in school are at risk of starting adult life under-skilled and poorly qualified. At STEPS to 16 programme we give them a second chance at education. This is just one of the programmes we run for young people and adults so your donation will help people who are finding life tough to improve skills, to cope better and look forward to more positive futures. We need your help to meet immediate needs and fund resources for 2018 and beyond. Mentoring is a simple but effective way for one person to give their support to someone else who is going through a tough time. Active learning through doing and discovering is such a powerful way of motivating people to strengthen their practical and personal skills. Our STEPS team is working with challenging young people, resistant to engaging with education. They need a lot of support. This is demanding work that takes energy and imagination. Your donation will help us to fund these priorities and many other areas of our work – thank you for making a difference to local people and making Surrey a more caring place.